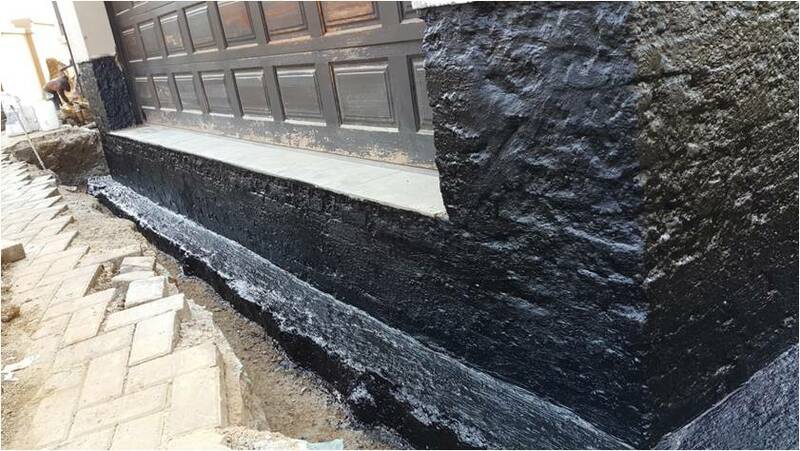 Pour concrete with C-36 Admix to extend foundation lip. 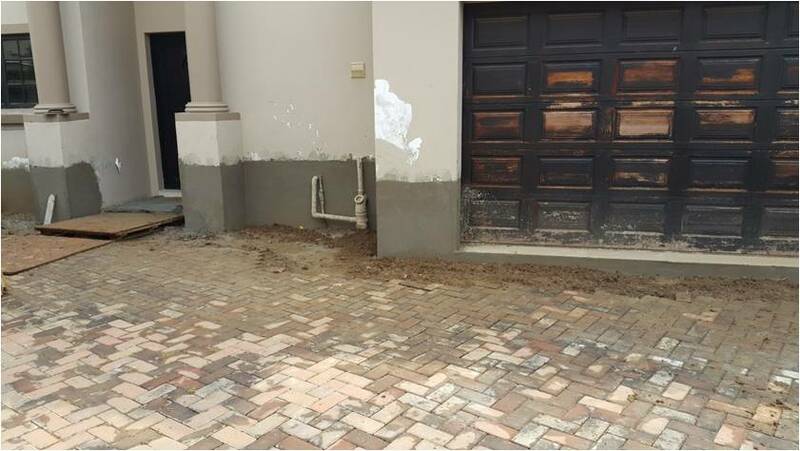 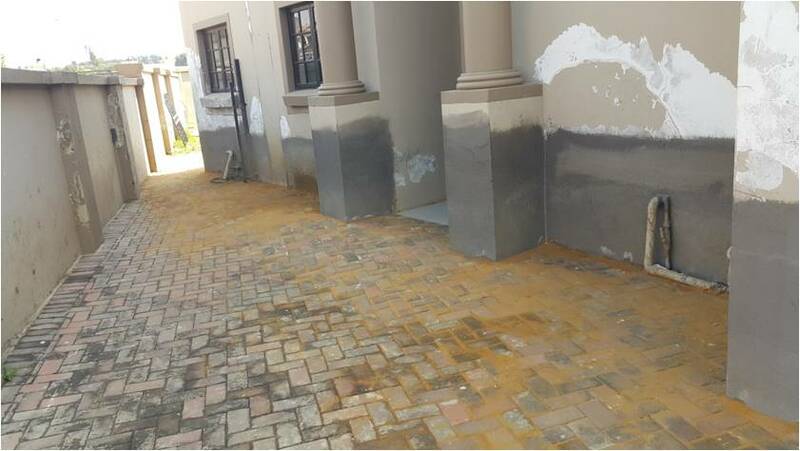 Application of cementiuos latex Sealpaz TWO COATS from extended foundation onto the brickwork up to 1m above ground. 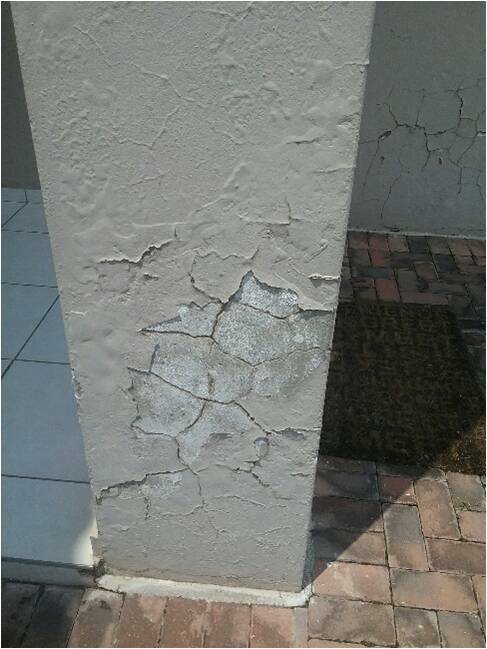 Application of Elastopaz/Easy Flex TWO COATS from foundation up to 1m high. 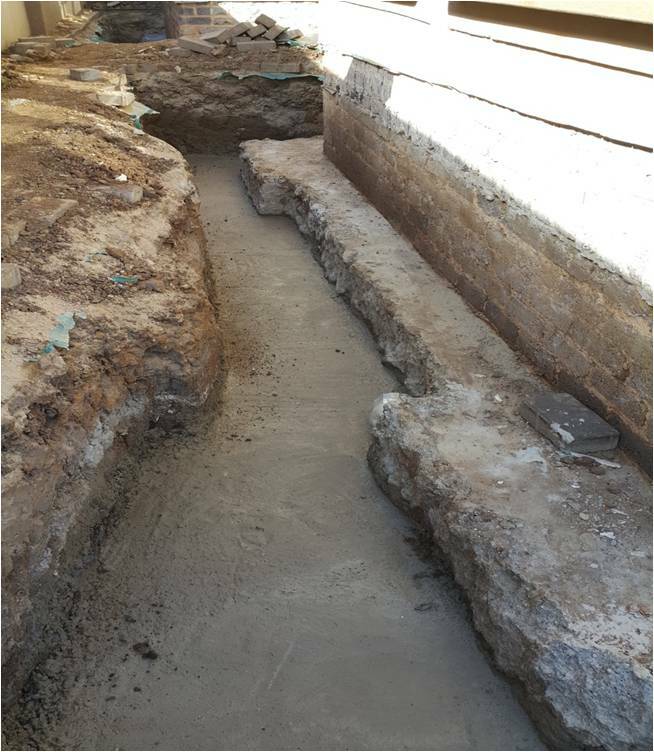 Back fill the trench with soil up to ground level. 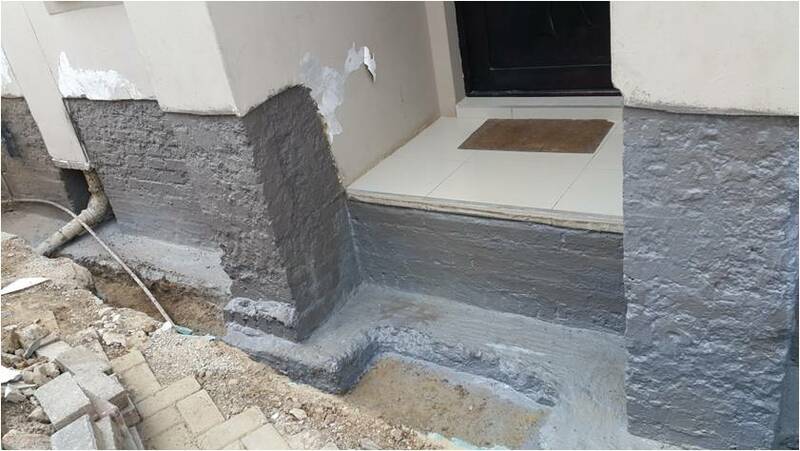 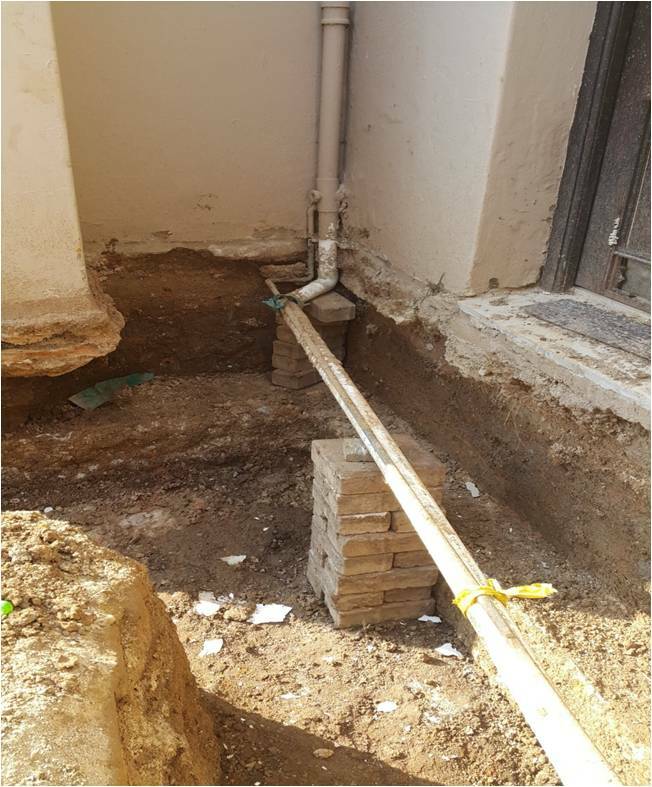 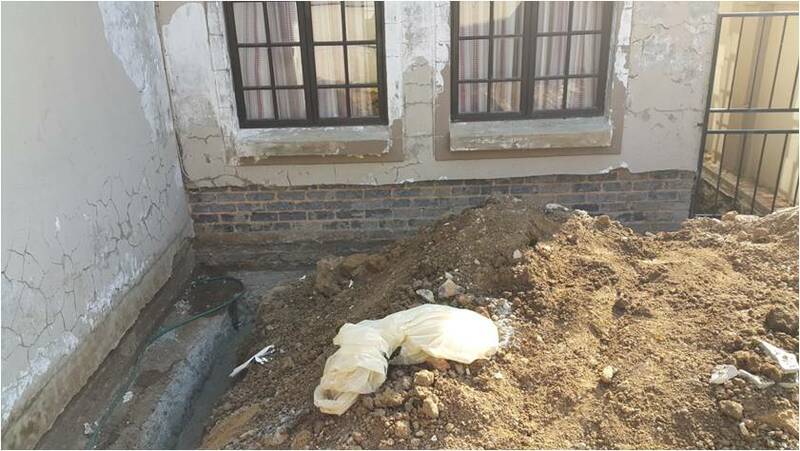 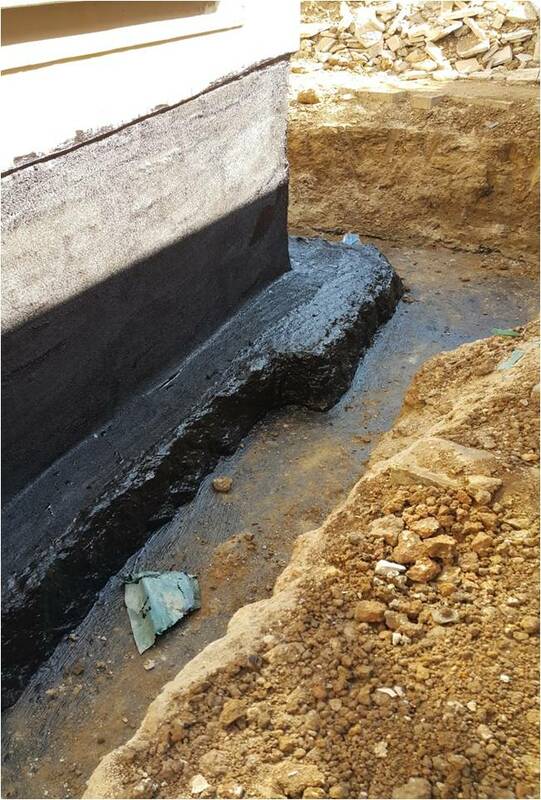 Application of cement slush onto the exposed waterproofing from ground level up to existing plaster. 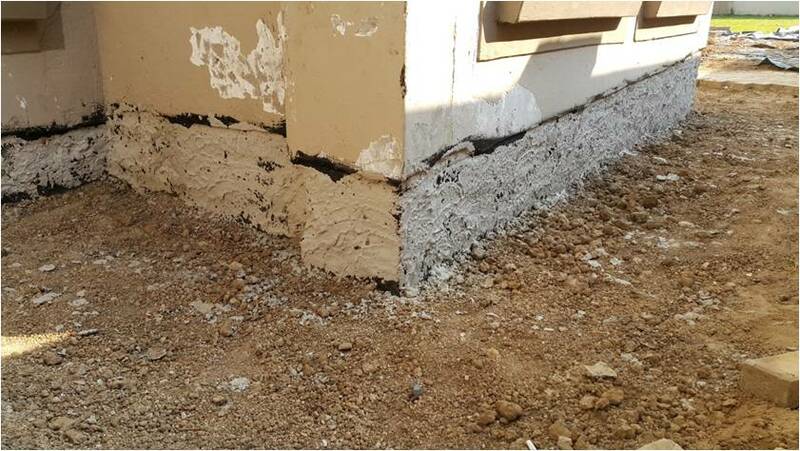 Application of plaster cement, same level to the existing. 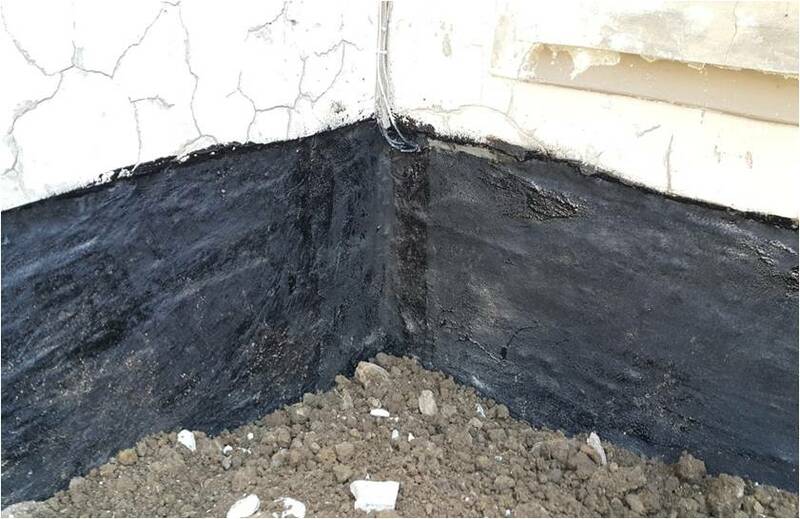 Application of Sealpaz onto new and existing wall plaster to act as a paint primer.